If you want to use VaadinUI 1.0 with your maven project it's not an easy task because VaadinUI is not available via maven repositories - right now. 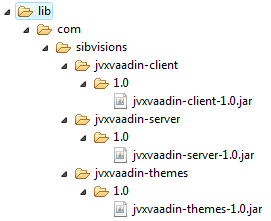 But I want to show you an easy way to use VaadinUI 1.0 together with JVx Archetype 1.2.0. This is not a perfect solution because jvxclient.jar will be added. This lib is not necessary because jvxall.jar is already available - but also not a problem! 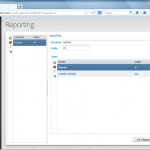 Use the war project together with an application server in Eclipse and enter http://localhost/myproject/vaadinui/ in a web browser to start your application with VaadinUI - with debugging support. Create a war file, deploy it and it will work without problems. Some months ago we were asked if we want to participate a pair programming experiment. The guy who asked was "Code-Cop". Of course, this is not his real name but it's easier for you to understand what he does. He is fanatic about code quality. He likes his code being in order, e.g. nicely formatted, readable, proper named, designed, tested etc. And trust me, these are not just words for him. Read the full story about Code-Cop and his craftsmanship tour on his blog. I did pair/xtreme programming in 2001 and thought it would be nice to do it again. But I thought it could be a risk because I found my own source style and defined my own quality standards over the years. I thought that my quality standard is very high and I'm a professional developer with a lot of experience. You could say that I have a lot of self-confidence... hm... not really bad. What I also learned over the years was that you can't be successful without changes. Every change is a risk because you learn/see something new and maybe you don't like it. But you don't know what you like until you've tried it. This is the most important experience - from my point of view. We planned to work 3 days with Code-Cop. It was not clear if one person or two persons should work with Code-Cop. We wanted to use the experiment as mechanism of getting input from "outside". The more different perspectives, the better. We had many different tasks for the 3 days, but not all were good because I'm researcher and love playing around with new technologies/frameworks and products. If you do pair programming, you should develop. I had one task that was open for a while and it frustrated me that it was open. It was the optimization of our JVx build process and fixing some failed test cases. Don't misunderstand me... I hate red test cases and my tests are always green, but it's boring if your tests are green on your developer engine but fail on the build server (different encoding, different OS, ...). Another bad thing was that the build ran about 80 minutes! The problem were our unit tests because we mixed manual (performance, timeouts, ...) and automatic tests. My plan was a build time around 10 minutes. We worked together on the same machine with a big external screen, two keyboards and two mice. The first day was a challenge because Code-Cop and I tried to find out who's the top dog Not that bad, but it was a big difference to work with another person on the same machine and the same problem (and it didn't help that we are ambitious and dominant). We had different ideas and sometimes different solutions for a problem. I tried to dominate the keyboard because I was used to. One tip: Don't do this, because you don't focus on the problem. We had great discussions and smaller brainstormings about code quality. It was awesome. From the second day, everything was in flow because the first day was to get to know the other person. We did our tasks and I had some extra tasks/ideas that could be useful. The rest of the second day and the third day were reserved for Martin. It was funny to see them in action, because Martin got a "Mouser" and "Keyboarder". It was a long awaited dream of him - a person who understands what he think and can produce source code of his ideas. Of course, they had a tricky task and it wasn't possible to finish the task in two days, but Martin got some new ideas. And last but not least - they had fun! All 3 days were awesome because Code-Cop was productive from the first minute. We didn't waste time to explain how our framework works. This only is possible if you work with geeks. Use the keyboard and learn most important shortcuts of your IDE. You save time! Don't think you are professional enough. There's always space, but be solution and practice-oriented. The experiement was awesome and Code-Cop is a pro' geek. We had a great time and I can recommend such experiments. The brand new preview version of VisionX 1.2 is available as trial and as cloud service. The preview version is not feature complete but contains a lot of new features and of course, many improvements. 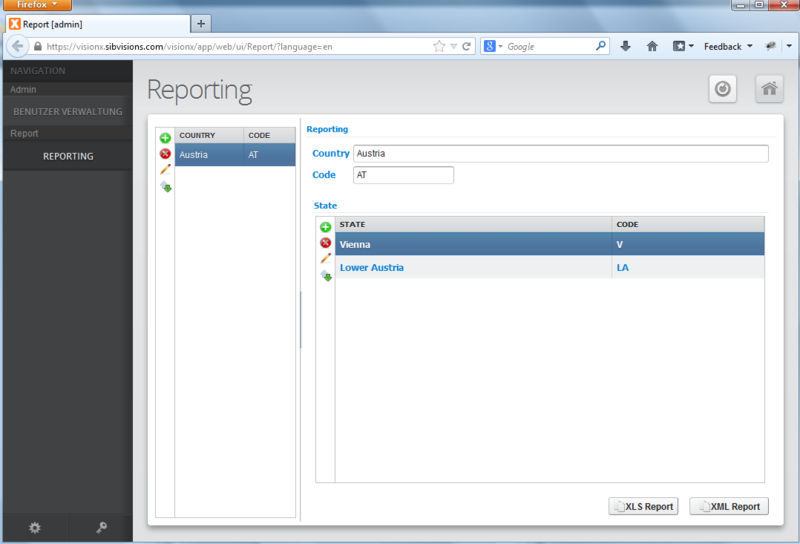 It's awesome to design an application and see all changes live in your web application. One mouse click is enough to be amazed. VisionX has support for native iOS and Android apps. This is a killer feature, because you design your application and your native app is ready without additional steps. We're still working on our native apps because they aren't available in app stores. This needs some additional time. But our open source clients work without problems! The last VisionX versions had performance problems with (very) large databases. You had to wait about 10 minutes or more, to select a table. This was so frustrating. The performance is now better than ok. It works without delays! We have new actions for tabset and component handling, for environment access (web, desktop, mobile) and much more. We have new events for work-screens and tabsets. Our old solution was loop oriented. Loops were used for iterating all records. You had no chance to get the value of a specific record. This is now possible. We now support following: [LOOP@storage#3][YEAR]/[MONTH][LOOP@storage#3]. This placeholder prints the value of YEAR and MONTH from the third record. The short syntax, for one single column is [storage#3!YEAR]. It's now possible to create trees with self-joined tables. It's now possible to hide specific screens on specific environments, e.g. You won't see the user-management screen with html5 mode, but it'll be available in your desktop application. Don't create new roles or new users for that, simply change environment flags via menu management. 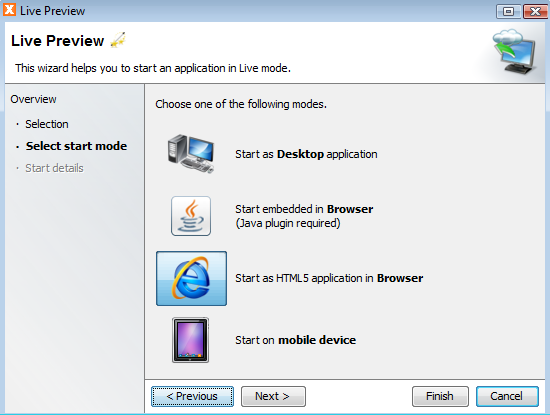 The wizard allows html5, mobile or desktop preview and shows additional information for manually previewing applications. VisionX shows scannable QR Code for mobile preview mode. Our new online help system supports full-text search and has a modern style. Above list is not complete because we have about 250 changes in this version (most are new features). Simply try the preview and send us your feedback. Every comment is welcome! Our customers should check their download area! Our new vaadin UI is available. It's the first release and it's awesome. The binaries are available on SourceForge or via Maven central. We also updated our Archetype to version 1.2.0 and it should be available in Maven central in the next days. We told you that the release contains about 90 tickets. The real number of changes is 123. We did decide that version 1.2 is the last release before 2.0. It's not because of new killer features or big API changes. The higher version number should represent the maturity of JVx. JVx was started in 2008 and the low version numbers were fine for our own goals, but our users asked for bigger steps. If we compare our 1.2 with other frameworks, we could use 5.0 without problems. The version 2.0 will be a smaller feature release that changes MetaData handling on server-side. We'll introduce a new caching mechanism that allows manual change of storage metadata. We plan the release for the end of this year - without guarantee. Currently, we don't fix bugs in old JVx releases. We only fix bugs in our development version. We offer nightly builds and maven snapshots and we thought that's enough, but some users want to keep old releases. No worries, we'll do our best to make you happy! We'll be live on stage at W-JAX '13 in Munich. Our session is scheduled for Tuesday, 5th November - 10:15 to 11:30. Are there enough web and UI frameworks for us developers? Absolutely! There are really cool web UI frameworks like GXT or Vaadin. 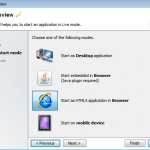 There are swing and JavaFX for desktop apps and many others. Don’t forget all web frameworks! Which UI framework is the best for your next project and works with browsers and OS‘ in 5 or 10 years? Which investment is future save? The only solution is a technology and UI independent framework. Such a solution is JVx (Apache 2.0). It is a full-stack app framework, designed as library. Develop UI independent and decide which UI technology is best for you. If you prefer Swing, start your app as Swing Application. If it’s Vaadin, use Vaadin. Don’t rewrite your application, just choose the preferred UI technology! This is an update of Project news. We completely replaced our good old Java OnlineHelp (GXT version) with a new Vaadin implementation. It's based on Vaadin 7 and has some amazing new features, like full-text search. No worries, the new version supports the same file structure as our old version. The upgrade procedure is simple: Keep your structure directory and delete all other files. The binaries will be available in the next days. We also removed all other GXT based projects because we switched the web technology. We think vaadin is the better choice and replaced our previous webUI with vaadinUI. Of course, it's not a 1:1 replacement but the first release is awesome. We'll release the binaries next week. Our old webUI project is still alive because it contains our headlessUI. This project is still important and the base of our project JVx.mobile and some other projects that don't need a UI. This project makes it possible to start a JVx application on server-side. If you create REST or SOAP services, our headlessUI might be the right choice? Our vaadinUI and headlessUI are sub projects of JVx!